The current appearance of the plain to the northwest of the city of Florence as a result of the extensive land reclamation work that has been continually carried out, in an organized and precise manner, at least since Etruscan times and the progressive soil occupation with buildings. 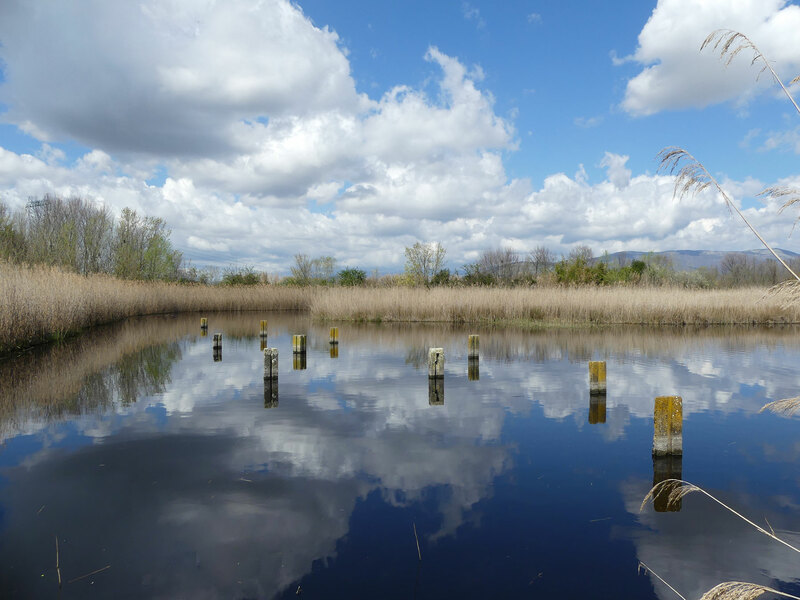 The construction in 2003 of the new wetland 'Lake Acqualunga', work-site where this work-element is collocated, occurs due to the excavation of an agricultural field, the shaping of the banks and lake bottom, construction of islets and islands, and creation of observatories for the public. A complement of the intervention, the work-element, has been placed at the front of the main observation point. The stone (pietra serena) is the main material used throughout the intervention. 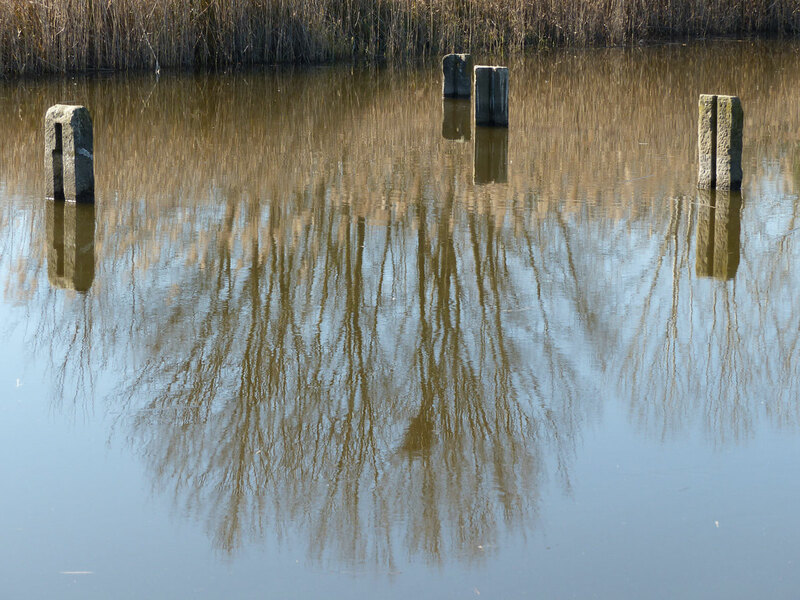 The original stipes of the dams were previously placed along the dikes to control the irrigation of the fields. 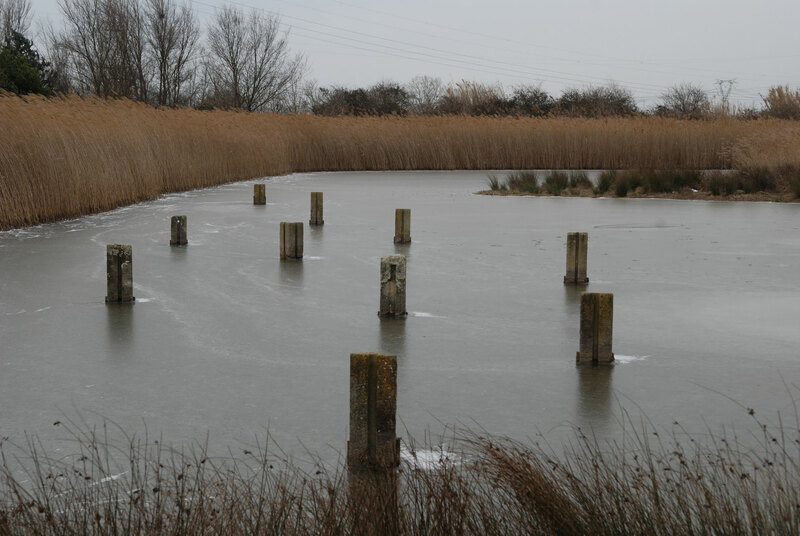 These slabs were removed from the 'original rock' of the nearby mountain and transported into the plain to complete the reclamation of the marshes. They had been placed in pairs alongside the ditches and, with the wooden planks in the central groove, kept the waters. Today, these types of farming systems have been abandoned in favor of more mechanized techniques and more extensive cultivation. 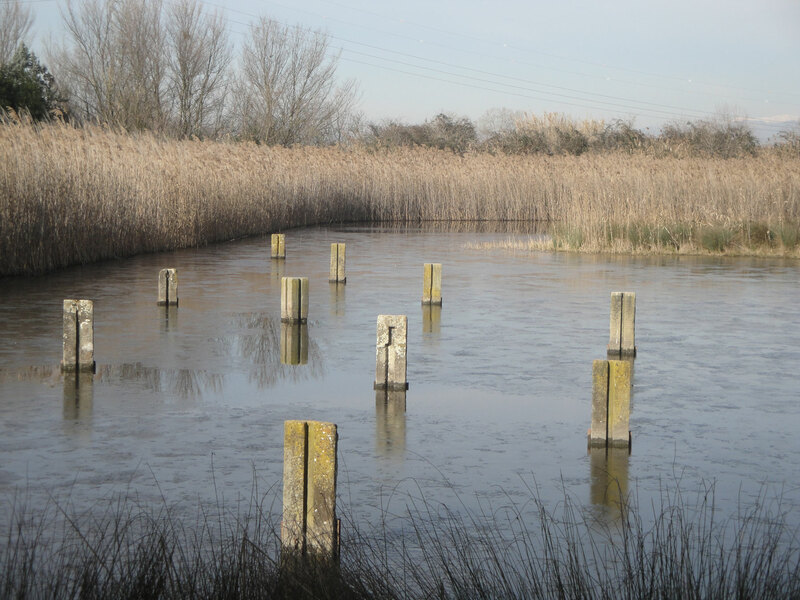 After decades of neglect, these large slabs are brought back to light: erected in open order they emerge from the surface of the water of the new marsh in a kind of 'newfound serenity', and they seem to advance slowly towards the observer. Arranged so they are no longer used as points of support for wooden boards, the slabs no longer will be used as constraint instruments. So the water, free element par excellence, today pervades again throughout the entire area and the sluice gates are the first witnesses of the newfound natural atmosphere. 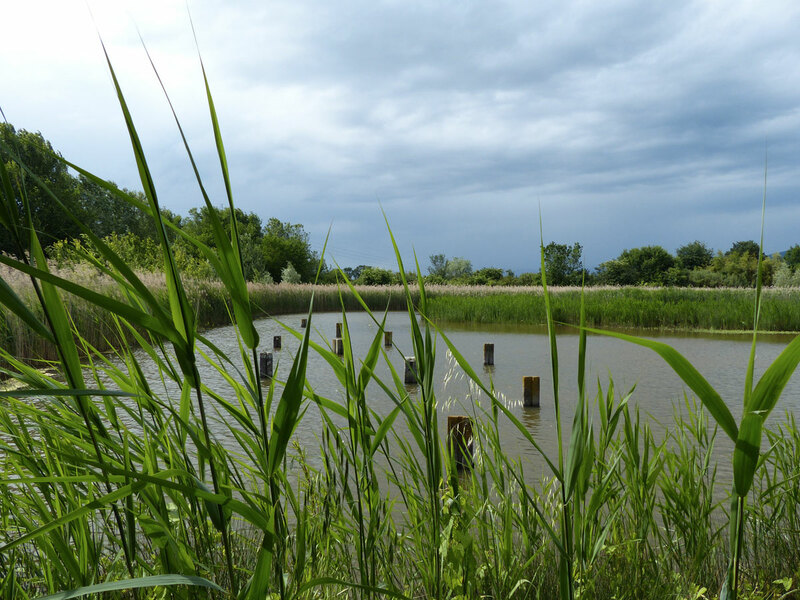 The slabs have also acquired an ecological function as perches for dozens of aquatic birds. The sluice gates, through reminiscent of a period not long gone, now belong entirely to the past. With this work they have been chosen as a symbol of the radical changes that have taken place in this area changed by man for decades. With the tremendous deployment of resources, man has always tried to remove water from the plains (first to cultivate them, more recently to extend the cities). Now, having realized his mistakes, he obliged to take measures immediately, due to the increase of the hydraulic risk. 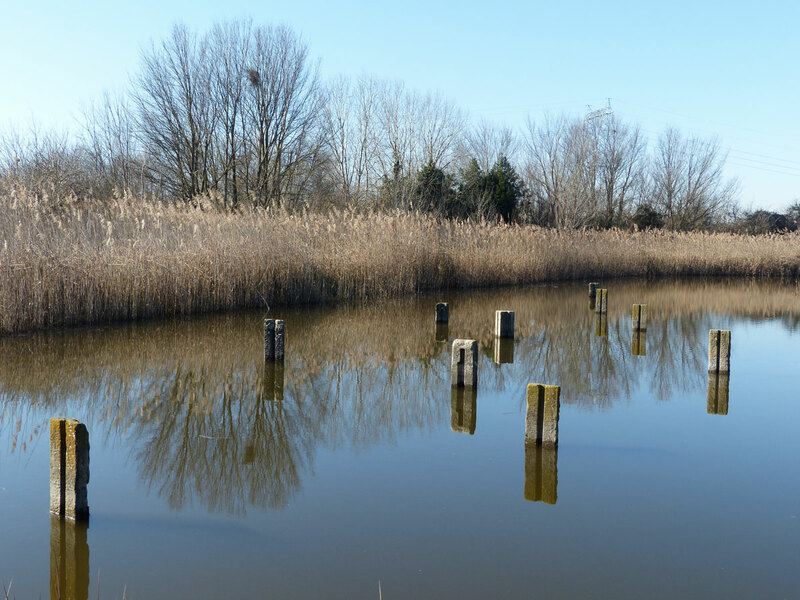 Therefore, we invest new big resources to recreate open spaces to contain the floods (flood-control storage areas). In the past this function was naturally performed by marshes. The artwork emphasizes how meaningless it is to fight against territory instead of coexisting with its natural features. The sluice gates have been elected 'witnesses' of it all. The viewer will feel observed by these stones, as if they ask why all these hundreds of years of hostility towards the waters happened to force, in the end, to return the original condition of the territory. Typical suburban area characterized by a extremely simplified landscape, with extensively cultivated fields and old country roads littered by small illegal dumps tips. Shacks throughout together with hunting hides built illegally with iron panels and concrete walls. Search and preparation of stone slabs (old sluice gates). 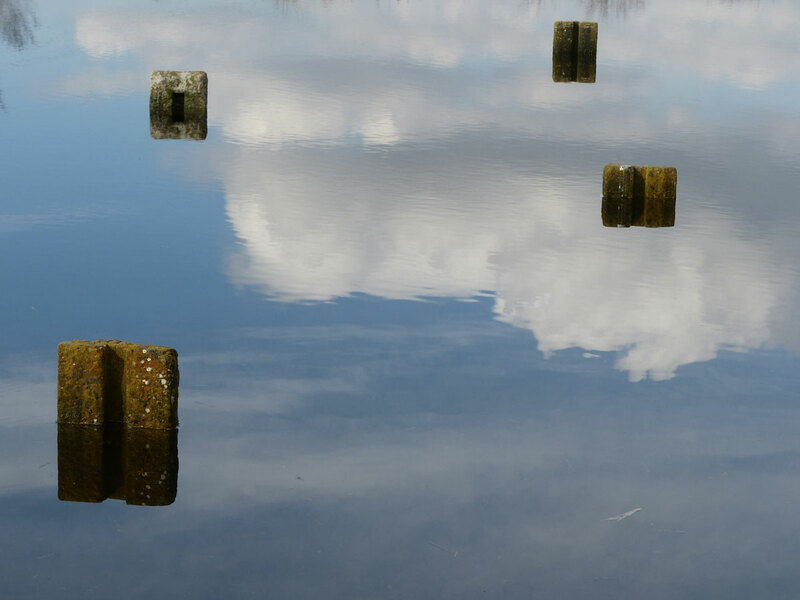 Positioning of these in the bed of a lake. All undertaken with the aid of mechanical equipment (tractors) and the manual intervention on the part of volunteers (Social-Art intervention). 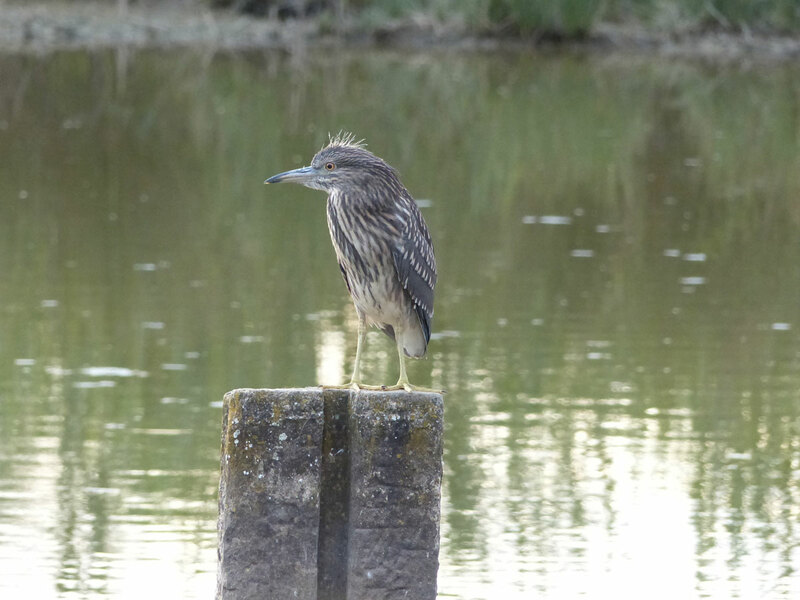 - Herons (with particular attention to: Grey Heron, Ardea Cinerea; Little Egret, Egretta garzetta; Night Heron, Nycticorax nycticorax; Squacco Heron, Ardeola ralloides; Cattle egret, Bubulcus ibis): perch.